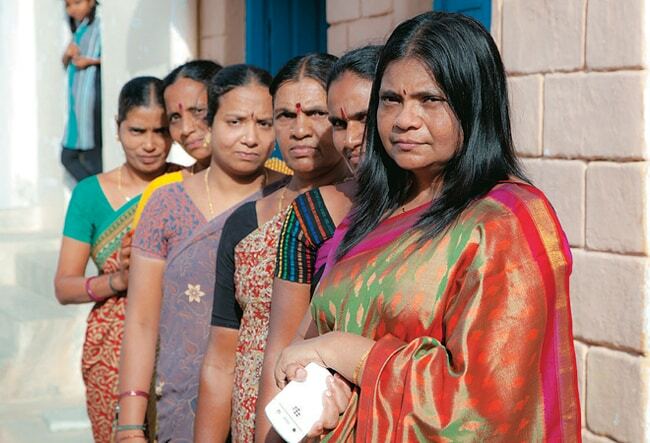 How six key women leaders in the microfinance sector are confronting the crisis there. Vijayalakshmi Das, CEO of FWWB, India. Photo: Shailesh Raval. A watershed in the history of the microfinance sector was the Andhra Pradesh Micro Finance Institutions (Regulation of Money Lending) Rules - later made into an Act - issued in October 2010. Sparked by reports of some microfinance institutions (MFIs) using coercive means to recover loans, the ordinance imposed severe curbs on the functioning of these institutions in Andhra Pradesh - the state where they were the most widespread. Many borrowers in the state, however, interpreted the ordinance as a blanket waiver of their loans, leading to a near-collapse of all MFI companies there. There were adverse ramifications for MFIs in the rest of the country as well as banks became increasingly reluctant to lend to them. Business Today spoke to six leading women at the helm of institutions involved with microfinance and financial inclusion to find out how they are coping. The Friends of Women's World Banking (FWWB), India, is an Ahmedabad-headquartered not-for-profit organization which assists MFIs in various ways, founded by noted social worker and Magsaysay award winner Ela Bhatt in 1982. 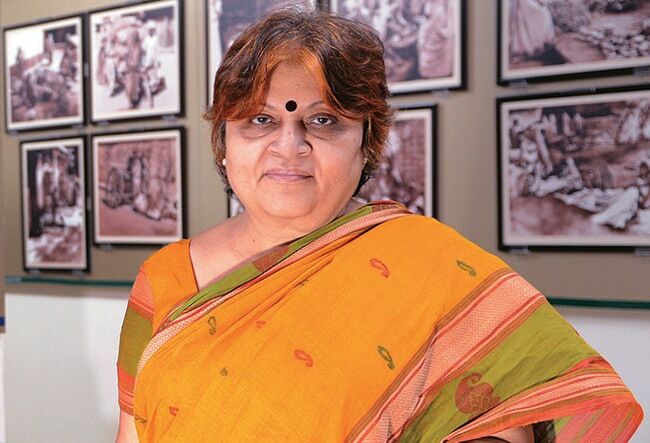 Its chief executive and moving spirit for many years now has been Vijayalakshmi Das, 62, a veteran in the field, often called 'the mother of Indian microfinance'. FWWB India has handheld many of the leading microfinance companies of today, when they were in their early stages. 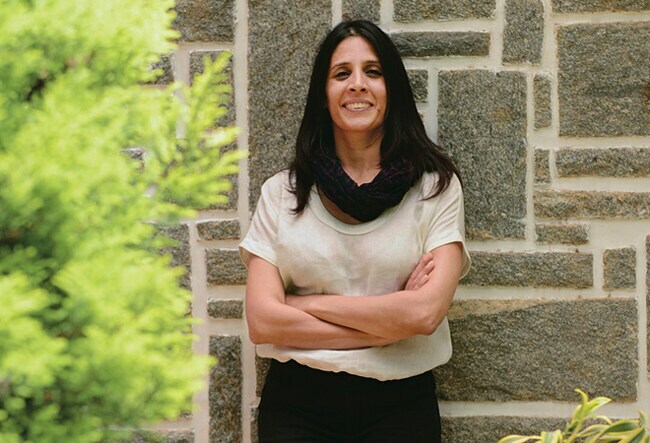 She is also Promoter Director and Managing Director of Ananya Finance for Inclusive Growth (AFIG), promoted by FWWB India to take up its own microfinance activities. Ananya's microfinancing role has been severely hit, its loan portfolio falling from Rs 385 crore in March 2010 to Rs 43 crore by March end this year. How did the Andhra Pradesh ordinance affect this Ahmedabad-based entity? The upheaval in the microfinance sector following the ordinance led the RBI to set up a committee headed by Y.H. Malegam to examine the sector's functioning. Following the recommendations of the committee, the RBI issued a circular on May 3, 2011, which, Das maintains, proved ruinous for FWWB and Ananya. In effect, it told banks that financial intermediaries like FWWB were not included in the priority sector. Freed of this compulsion, banks' willingness to lend to FWWB dropped sharply and in turn constrained Ananya's capacity to give microfinance loans. "This is what kept the banks away from Ananya after the Andhra Pradesh crisis," says Das. Das tried to reason with bank officials - to no avail. "Our argument that despite not being considered priority sector, the interest we would charge microfinance clients would remain the same and the book debt would be given to the banks as before complying with all conditions, was not accepted by the banks even though they had been giving us loans for two decades," she says. Despite the setback, all loans were repaid. Between 2010 and 2014 Ananya paid back Rs 564 crore to 10 banks, but received only Rs 128 crore in fresh loans. Its current outstanding to banks is just Rs 11 crore. "Our commitment to honour our loans despite the crisis was not reciprocated by the banks with fresh loans," Das adds. Both institutions, however, have been striking out in fresh directions in an effort to keep going. "FWWB is nurturing agriculture producer companies, plus those working on water and sanitation projects, while Ananya is seeking agriculture financing loans from banks to help the agriculture producer companies," says Das. FWWB's loans to these new entities stands at Rs 19 crore, its borrowings at Rs 4 crore. G. Padmaja Reddy, MD/Spandana Sphoorty Financial Ltd.
G. Padmaja Reddy, 47, is Managing Director of the Hyderabad-based Spandana Sphoorty Financial Ltd, once the second biggest MFI in the country (after SKS Microfinance), disbursing loans worth Rs 25 crore a day, with 14,000 employees and 5.2 million borrowers owing it Rs 4,400 crore. That was just before the ordinance was issued. Today, daily disbursement is down to Rs 7 crore, the number of employees has shrunk to 4,000, the number of borrowers to 2.8 million and the money owed from them to Rs 2,100 crore. In 2011, with debt mounting, it was also forced to go through a debt restructuring exercise. Spandana's attempts to recover ground by diversifying into tractor loans, gold loans and housing loans were also limited by the Reserve Bank of India stipulation that such loans should amount to no more than 15 per cent of an MFI's total loan portfolio. So how has Spandana stayed afloat? For one, the debt restructuring deferred repayment of loans, so the company had enough cash in hand. "Our coping strategy was very simple: stay liquid when in stress," says Reddy. "This ensured the staff retained its confidence in us. It gave the management the flexibility to deploy resources where they were most needed and avoid knee jerk reactions." She also refused to entirely give up on loan recovery in Andhra Pradesh. "We stayed focused on collections and continued to use various permissible means to improve customer reach. We collected almost double of what the other MFIs did," she adds. But there has also been much soul searching and reform. "We have become more careful about distributing our business across different states," says Reddy. We have entered two more states, Uttar Pradesh in the north and Kerala in the south." Loans too are given much more judiciously than before. "The level of diligence on clients with respect to overleveraging has increased. Today all loans are given only after a thorough study of the borrower's profile data, which we obtain from credit bureaus." What she hopes for is to find investors willing to buy preference shares of the company worth Rs 905 crore currently held by banks following the debt restructuring. Known as Optionally Convertible Cumulatively Redeemable Preference Shares (OCCRPSs), these are of little use to the banks. "The company will benefit since the investor who buys the OCCRPSs can convert them into equity," she says. "If all the OCCRPSs are converted into equity, we will be able to meet the RBI's stipulations, come out of debt restructuring and function as a normal company," she says. The RBI has given her time till March 2016. 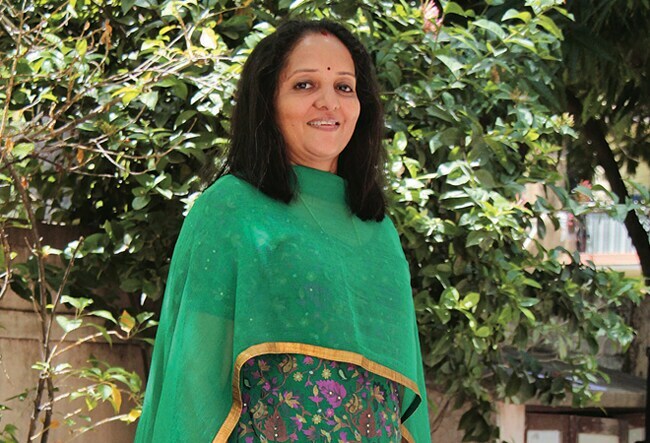 Jayshree Vyas, 61, is Managing Director of the Shree Mahila SEWA Sahakari Bank, once again founded by Ela Bhatt in 1974 and based in Ahmedabad. SEWA Bank, as it is popularly known, is not an MFI but a cooperative bank with deposits of around Rs 200 crore, owned and run - as the name indicates - exclusively by women. But its role is similar to MFIs - it provides small loans to its 500,000 odd members, most of them from the poorer sections, for entrepreneurial activities. The Andhra Pradesh ordinance had a curious impact on it - for the first time, SEWA Bank faced competition. "There were hardly any home-grown MFIs in Gujarat before," says Vyas. But once business in Andhra Pradesh collapsed following the ordinance, almost all of them ventured into Gujarat. The influx put SEWA Bank at a disadvantage since many of the newcomers were willing to disburse loans with hardly any questions asked, while SEWA Bank required potential borrowers to make an initial commitment by first becoming members of the cooperative. "The newcomers did try to tap our client base, but we also changed in many ways to deal with this," says Vyas. "We looked at our advantages and theirs." One big advantage Vyas had was that, heading a bank, she could offers loans at an interest rate of around 18 per cent, while MFIs, which borrow from banks, need to charge more. How did SEWA Bank change? "We started appointing financial counselors and setting up a financial literacy centre in every area," says Vyas. "Earlier we focused only building awareness, but now we also added a marketing dimension to our pitch. We also talk about our products." With many MFIs ready to provide multiple loans to the same client, SEWA Bank in its financial literacy programmes warns against succumbing to this temptation, pointing out the danger of the borrower falling into a debt trap. Even so, competition has seen the annual growth of SEWA Bank's loans fall from 15 to 13 per cent. The bank now plans to expand all over Gujarat. Praseeda Kunam, CEO/Samhita Community Development Services. Praseeda Kunam, 39, is CEO of Samhita Community Development Services, a not-for-profit, 'Section 25' company she set up along with her husband Balachander Krishnamurthy in September 2007. She too has a sterling record behind her, having worked with SKS Microfinance (once the biggest MFI in the country and the only one to be listed) and the ABN AMRO Foundation. 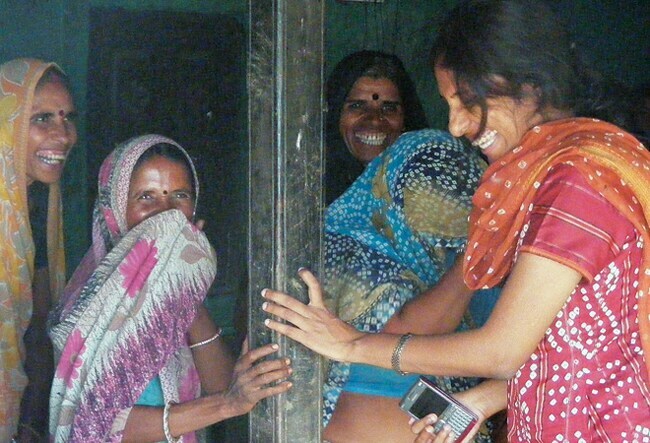 Samhita, among other services, starting with Rewa, disbursed small loans to women in the remote and under-served parts of the Baghelkhand region of Madhya Pradesh. Even before the Andhra Pradesh ordinance made banks wary of micro-lenders, Kunam, an MBA and post graduate in information management, says she had noticed the worrying trend of borrowers taking multiple loans and stopped expanding. "By early 2010, we stopped growth and waited for regulatory clarity, servicing only existing borrowers," she says. Instead Samhita busied itself in other forms of socially relevant activity. "We focused on a broad range of services including health education, pensions and insurance, financial and legal literacy for women," says Kunam. Samhita provided financial literacy lessons in the slums of Bhopal and Gwalior and later to all its 70,000 borrowers. In January 2011, having obtained RBI permission, it began operating as an aggregator for the Pension Fund Regulatory and Development Authority's NPS-Lite scheme, encouraging communities to provide for their pension. It also offered a range of insurance products for the poor - credit cover, cattle cover and life cover. It has also begun a legal rights education programme for its members covering such areas as domestic violence and sexual harassment at the workplace. Most importantly, instead of only taking loans from banks to fund its microfinance activities it has become a business correspondent as well, first for IndusInd Bank and earlier this year, for YES Bank as well. Half the loans it disburses are on behalf of these two banks, earning a commission as well. Thus unlike most others in the sector, Samhita has been steadily growing even in the post-ordinance years. The number of borrowers has risen from 37,906 in March 2012 to 58, 461 in March 2014, while total loan outstanding has increased from Rs 24 crore to Rs 40.3 crore. "The stage is set now for a second phase of strong growth with a stable management system, team and financing in place," says Kunam. Tara Thiagarajan, 42, Chairman and Managing Director of the Chennai based Madura Microfinance, with a loan portfolio of around Rs 250 crore, does not see the Andhra Pradesh ordinance as an unmixed disaster. "The crisis it caused has highlighted some fundamental systemic issues which had been hidden behind anecdotal success stories of MFIs for many years," she says. "More than 75 per cent of microfinance was simply consumer lending with borrowers taking money from one source to pay off another." Daughter of the fondly remembered K.M. 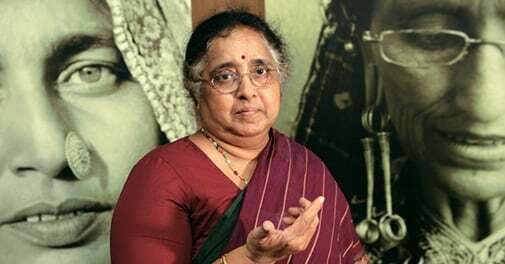 Thiagarajan, former Chairman and Managing Director of Bank of Madura (before it was acquired by ICICI Bank), she did her MBA from Kellogg School of Management at Northwestern University in the US where she was an Austin scholar and has a Ph.D. in Neuroscience from Stanford University. She acknowledges that Madura too has changed following the upheaval, and attaches much more importance now to understanding its borrowers. "The crisis made it imperative for us to develop a model by which we could be more targeted in delivery of capital to productive enterprise, and do so within the economic framework imposed by the regulation," she adds. She notes that data about the poor is fairly limited. "In the digital world big data has enabled companies to become increasingly efficient in targeting and delivering products and services to customers. The big data problem is how to sift through enormous streams of customer data. In India's informal economy the problem is just the opposite. We operate in a very data dark environment where data about the customer must largely be gathered from self reports through laborious field processes. Madura, however, has been doing precisely that so that its lending becomes truly value lending. Kalpana Sankar, 50, a double doctorate in Physical Sciences and in Women's Studies and Self-Help Groups, heads two entities - the not-for-profit organisation Hand in Hand, India, where she is Managing Trustee and Chairperson and as the managing director of MFI Belstar Investment and Finance Pvt Ltd, the microfinance sister concern of Hand in Hand, India. Both the entities are based in Chennai and work in tandem. "Hand in Hand looks at capacity building, social mobilization, and entrepreneurship and training, while Belstar focuses on credit delivery," she says. The total credit provided by both, including through the linkages it has helped develop between self help groups and banks is around Rs 1,200 crore while the total loan portfolio is around Rs 200 crore. How did the Andhra Pradesh development affect her work? "We realized we had to become more efficient, look at the factors hampering growth and reach out to more borrowers, apart from helping self help groups get bank linkages," she says. "After the crisis, it has been difficult to mobilize debt and we have not been able to grow to our potential. We have therefore focused on ways to improve financial inclusion by training people to save and inculcating a culture of repayment. We also focus on building capacity so that they borrow for enterprise creation."